CRT Network Solutions are a solutions based company. We work with Microsoft Azure, Amazon Web Services or AWS. We also provide Web hosting Services to Australia. We value our clients and always put them first. We work with Microsoft OneDrive, Dropbox, Trend Micro Support. We use Office 365 in house and also provide Office 365 solutions to Businesses on the Sunshine Coast and Brisbane. We provide Onsite support and remote support. We have computer technicians on hand to provide Computer Repair Services. 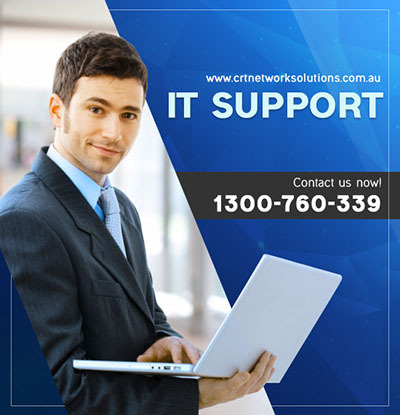 We provide IT Support to Businesses all over Brisbane and the Sunshine Coast.